Over the past day, in the zone of the Anti Terrorist Operation, the militants carried out 14 shelling of Ukrainian positions. As a result of the fighting, one military of the Armed Forces of Ukraine was wounded, the speaker of the Ministry of Defense on ATO issues Aleksandr Motuzyanik stated at a briefing. 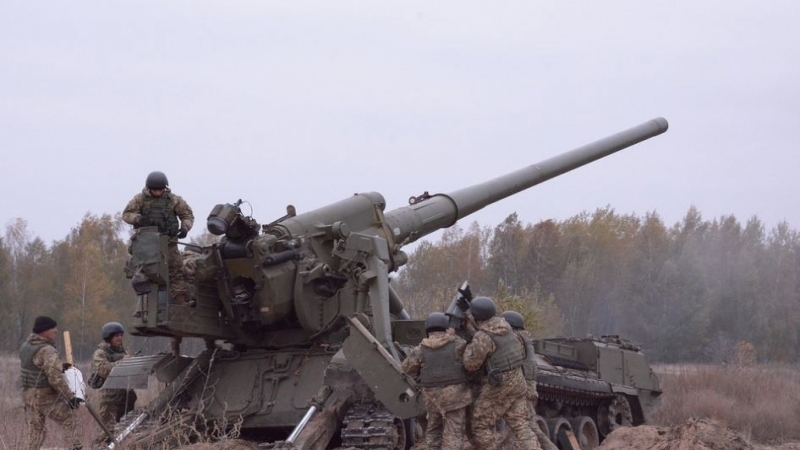 According to the information received, the militants in total fired 35 mortar rounds of 82mm caliber on the positions of Ukrainian Armed Forces near Novozvanivka, Krymskoe and Novoaleksandrivka in the Luhansk direction. In the Donetsk direction, the forces of the so-called "DPR" (Donetsk People’s Republic) fired from grenade launchers and small arms near Butovka mine, Avdiivka, Kamenka and Verkhnetoretsky. The areas of Staragnatovka, Bogdanovka, Marinka and Talakovka were also attacked in the Mariupol direction. Earlier, the OSCE Special Monitoring Mission in the Donbas confirmed that the militants continue concentrating forces on the line of demarcation.